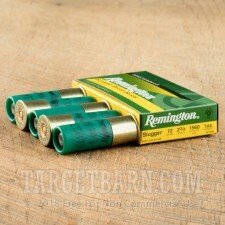 Remington Slugger Rifled Slugs are slightly oversized for exceptional performance in smooth bore shotguns. 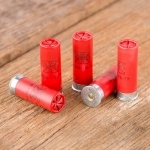 The larger size creates a tighter seal against the barrel wall resulting in consistent velocity and superb accuracy with every shot. This package contains 5 rounds of 2 ¾ inch 12 gauge shotshells, each loaded with a 1 ounce lead slug. 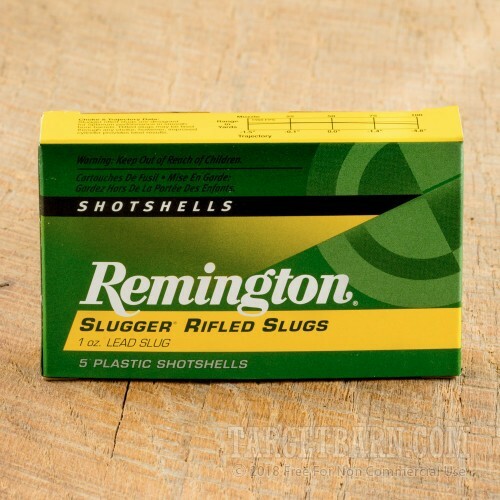 These hard-hitting Remington Sluggers are a whitetail's worst nightmare. 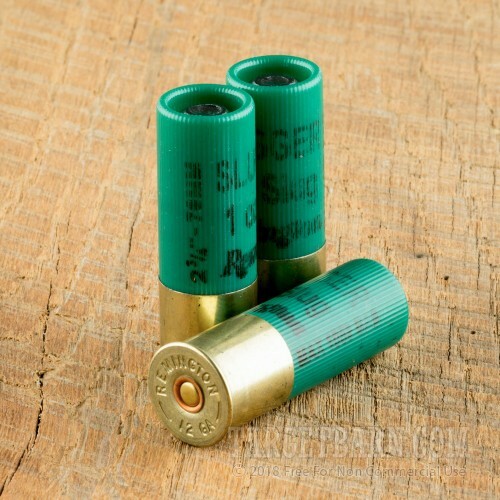 Leaving the muzzle at a velocity of 1560 feet per second with 2361 foot pounds of energy, these rifled slugs stop big game dead in their tracks. With 25 percent greater accuracy than other game slugs, Remington remains on the forefront of big game slug technology. 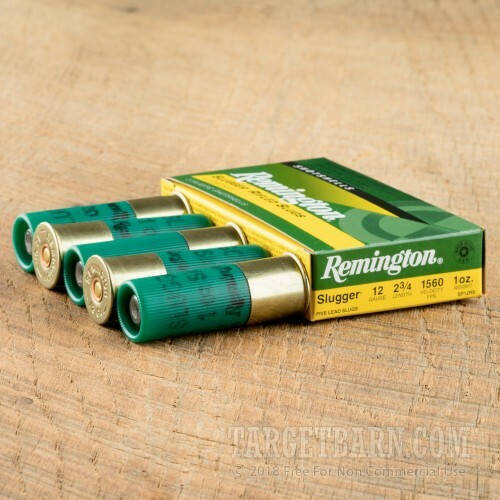 While these rounds are designed specifically for smooth bore 12 gauge shotguns, they can also be used in shotguns with rifled choke tube barrels as well as shotguns with fully rifled barrels.